Several years after finally calling it quits, the first Eraserheads–related material finally comes out, a tribute album of their hits performed by current hot local acts. Many would argue that a tribute album would not do justice to the originals, something we can neither agree nor disagree with completely. 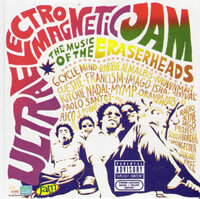 The album Ultraelectromagneticjam is a compilation of some of the E-heads better known songs, though some would wonder why their extremely big hits like Toyang and Minsan were never included. Seventeen songs personalized by a varied group of Filipino artists, worth it? It has been a few months since the song “Stay” made it to the Manila airwaves, yet it continues to gain playtime and online interest. 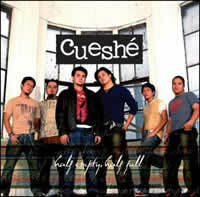 Cueshe, the rock band from Cebu, has indeed arrived to share its music. 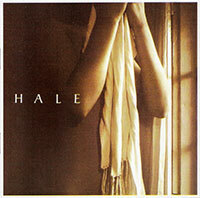 The rapid growth of OPM the past year has given us great acts like Hale and Bamboo, and now Cueshe. “Half Empty, Half Full” is a good collection of songs from a young rock band. The songwriting is plain, simply straightforward, yet you know it’s proudly their own. Most of their songs speak of love and affection, and everything that comes with it. Of the twelve tracks on the CD, only one is written in Tagalog. “Ulan” is the band’s take on a Tagalog song, and though it sounds good, the lyrics sound seem unnatural, like speaking Tagalog when you’ve grown accustomed to Cebuano, which is most likely the case. On the contrary, the English tracks are very well–written. “The Day You Said Goodnight” — the song you’ve probably heard close to a hundred times in a span of a few weeks. This song is now played almost anywhere, not only on the radio but even in malls. 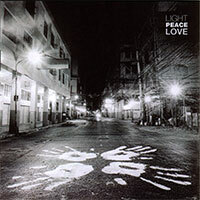 “Light Peace Love” probably is the country’s most anticipated album of 2005, and for good reason — Bamboo has released another keeper. Relying on the strong radio playtime of the single “Hallelujah” released several weeks ago, the band appears headed to establish itself as one of the the Philippines’ best rock acts. Listening to this CD, I can’t help but recall the old Rivermaya days—a unique blend of vocal talents. The Bamboo Mañalac–Rico Blanco sound was simply unrivalled during the mid–nineties, when the Filipino band scene was very much alive and kicking. 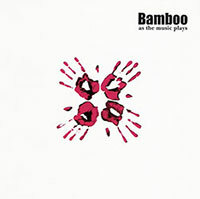 Fast forward to 2004 and we have Bamboo — The Band. After quitting Rivermaya and leaving for the US several years ago, Bamboo Mañalac has returned to Manila and formed his own band, aptly named Bamboo. Joined by former Rivermaya bassist Nathan Azarcon, with Ira Cruz and Vic Mercado of Passage, they have released their first album As The Music Plays, with the current radio hit Noypi as the carrier single.